When I was drinking, I always made sure that I was not home Halloween night so I didn’t have to be bothered by any kids or interact with any people. Instead I would go to the local bar which was in a walking distance (thank god!) and hang out with all the other people who were also trying to ignore the trick -or- treaters. I remember actually looking forward to this because I didn’t drink in public often and it felt like a special occasion. So, I would get all dolled up, and march myself to the bar, feeling like some “brave solder,” alone on a great mission! But really, all I wanted to do is drink. Today, I am carving pumpkins! Yes I am! And I love it! It took me 2 hours to do the Angry Birds one and it was the best stress reliever ever! I totally forgot all about my problems! 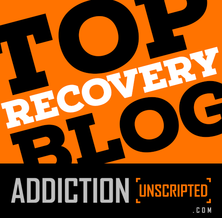 (read last post – Managing Stress Sober) And wait, there is more! My kids helped out too! And I got a kick out of seeing them excited, watching as the pumpkin carvings were coming together! Their child like, over the top excitement was contagious! Their laughter filled my heart and spirit! I felt happy and alive! 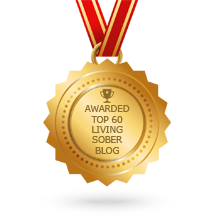 Times like this are the true reminder that sobriety rocks! How has your Halloween changed in sobriety?